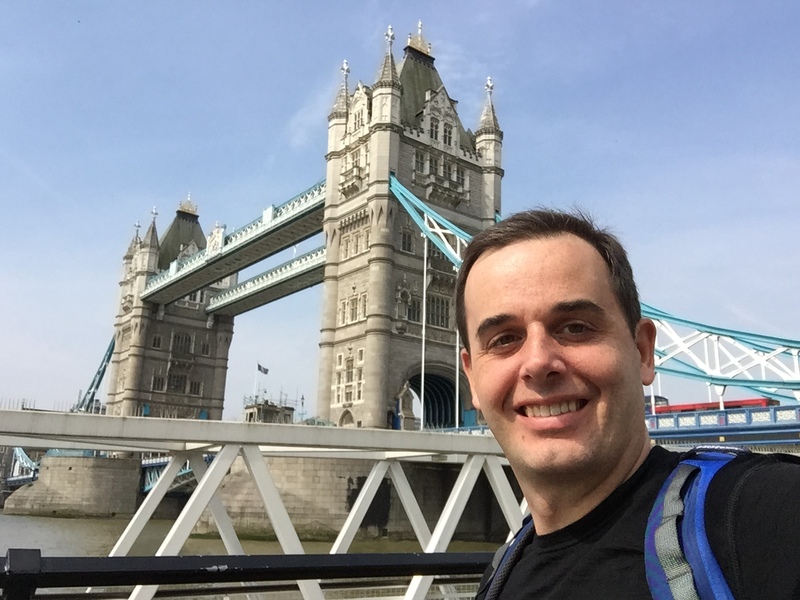 I jogged and hiked this London route many times during a recent London business trip. My recommended walk starts near the Tower Bridge tube station. 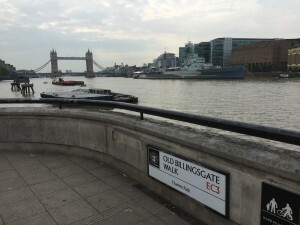 Jog along the yachts & schooners at St. Katharine’s Marina to Tower Bridge. Tower Bridge stands as a Victorian sentinel across the Thames. Its drawbridge and iconic towers were completed in 1894. Tower Bridge is also an excellent spot to snap the sunrise or sunset. 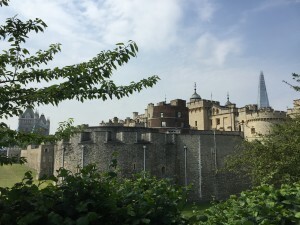 Immediately West on the Thames Path are the ramparts of the Tower of London. How many trails pass a Portcullis guarding a water entrance to a massive castle. 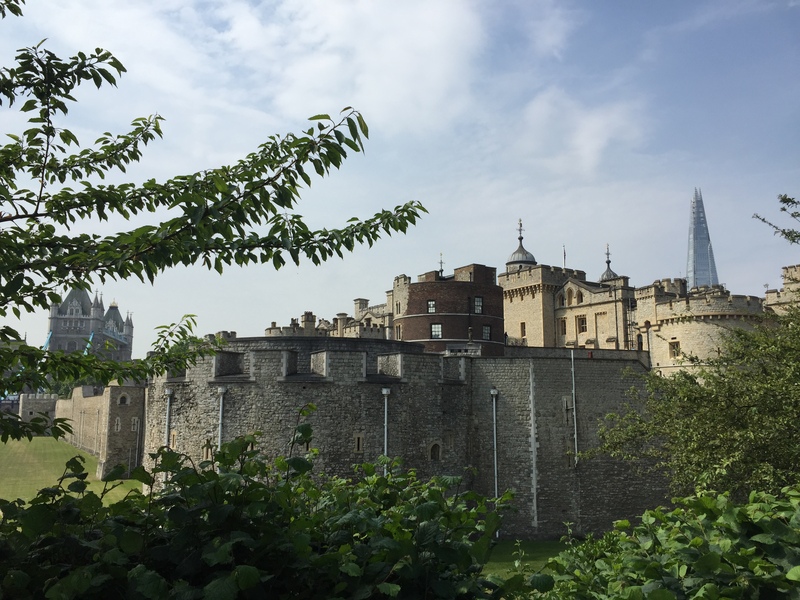 William the Conquerer originally build the Tower of London to solidify the Norman hold on the UK was royal residence for many years since 1066. 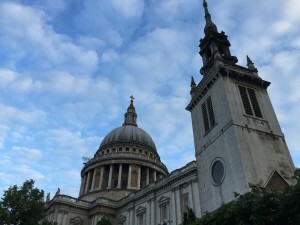 My next favorite Thames Path spot is St. Paul’s Cathedral. Sir Christopher Wren designed the Church after the Great Fire of London in 1666. The Church was miraculously spared by the bombs of the blitz. I can only imagine the impact of a visitor from the countryside visiting London for the first time and seeing the dome reaching to the heavens. The Millennium Bridge crosses the Thames in front of St Paul’s Cathedral. The walk across offers an outstanding view of Tower Bridge and an old & new London juxtaposition. Pick up the Thames Path on the other side in front of the Tate Modern Art Museum and the recreated Globe Theater. Shakespeare would be proud of your progress as you turn right (West) on the path. 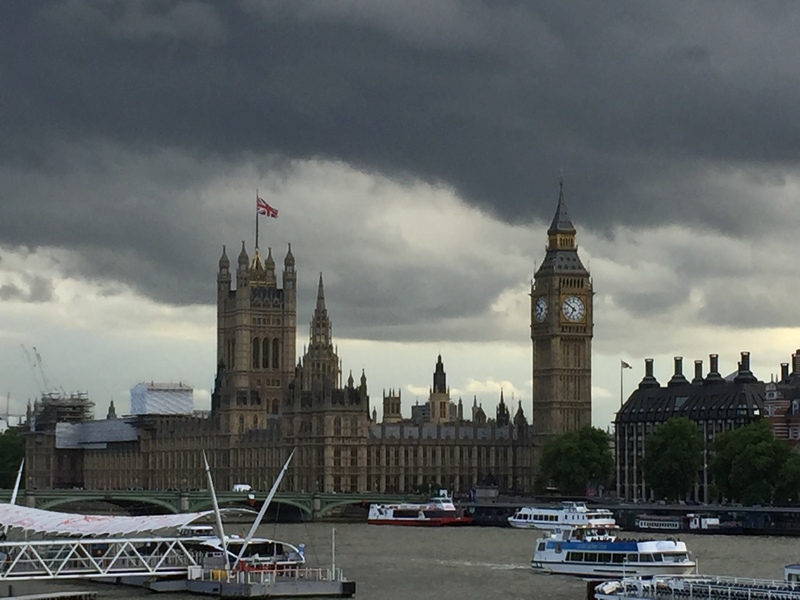 Parliament, Big Ben, & Westminster Abbey. The Westminster tube station is an excellent spot to end the ~5 mile journey. Excellent extensions include St James Park, Buckingham Palace, & Hyde Park. This section of the Thames Path offers one of the best urban hikes through history.